A brother and sister team is determined to continue the legacy of their late father by keeping his freight management business strong. Thanks to SBMS help, Brent Egan and Shelley Orfanellis are well placed to keep Team Express going and to make it even stronger. Tony Egan started his freight management business in the 1980s after working as a freight forwarder. The freight broking business facilitates import/export logistics for anything from scientific research products to capital equipment for manufacturing business. “Dad ran the business on his own for a long time and then my brother started working with him in 2004,” Shelley says. She also helped when she could. When Tony passed away three years ago after a long illness, Brent and Shelley took over and had to work out their father’s systems and deal with a work backlog. Their mother, Linda, is a director. 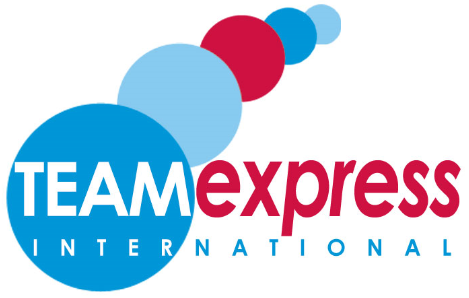 Team Express is well placed as a specialised service with the experience and contacts needed to make life easier for importers and exporters. Few other companies offer the same level of service. But Brent and Shelley felt they needed some help in steering the ship and better organising the business’s systems and finances. While Tony had a good business with loyal customers, he had managed much of it “in his head”, leaving Brent and Shelley to try to work it all out. At first they spent most of their time maintaining the status quo. As a family business, Shelley says they also needed advice from an objective observer who could suggest ways to improve what they were doing. After contacting SBMS, Shelley and Brent were matched with mentor Bruce Abbott, who has more than 30 years’ experience in the steel, manufacturing and distribution industries. Shelley says Bruce was a great sounding board, offering good advice and setting them “homework” that made them think about where they were and where they wanted to be. They also discussed sales issues and how much time was too much to spend on customers who pushed hard on price. “Working with Bruce made us sit down and think about what we wanted to do, and think about what our business actually is and what our point of difference,” Shelley says. “It was about getting the systems right." Bruce says Team Express now has a new system, a new accountant, documented procedures, additional customers and is busier. At this stage there are no additional staff. Bruce says profitability has probably improved but has not been reviewed yet. “We have identified lots of things to do that will help to improve the business and the main issue now is having enough time to carry them out,” he says. Shelley is now confident that Team Express is well placed to move forward. She says it provides an invaluable service that few can match and puts the client first. Bruce has helped Shelley and Brent to focus and continue to consolidate and grow their business. They are now working on a new website and hope to prepare a detailed business plan. “Up until now it’s really just been word of mouth,” Shelley says. Shelley is grateful for Bruce’s help, which made the most of his extensive business experience. He also gave them a gentle nudge to look at simple things they had put off due to a lack of time.